Catch the ASC stall at the Triangle Street Market West Ham 10 June. All Saints Chorus are supporting a community event at the Triangle Street Market between Plaistow New Road and Church St, West Ham, on Saturday 10 June between 10 am and 4 pm. This is a brand new market. Come and check it out. 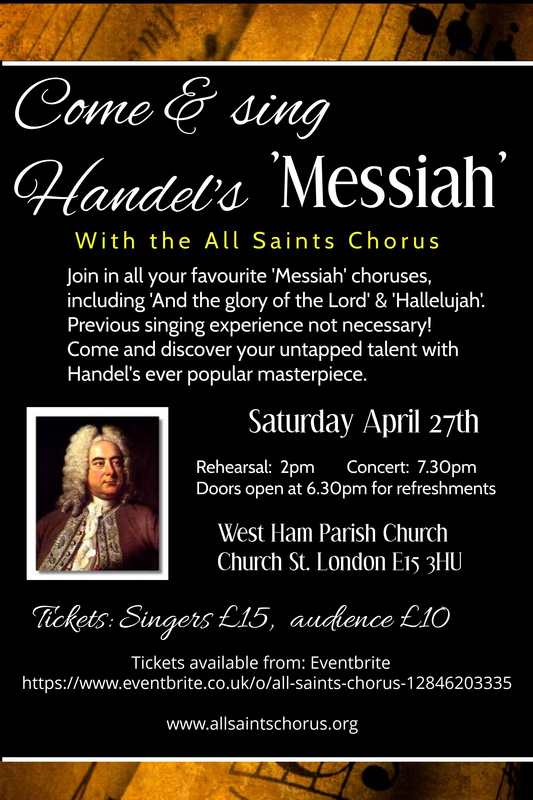 Why not say hello to us, sign up for the newsletter and buy tickets for our forthcoming concert . The choir will be singing. More details to follow.